I am sure that you have read all the articles about “unplugging” on vacation – but… I know you and I know you aren’t going to do it! Because of leaps in technology and the nature of our jobs these days, it’s not like the old days when you just put on your hat, left the office and that was that. We can now work whenever and wherever we like. But if you don’t chill out and enjoy your vacation, odds are you’re going to burn out, and that’s no good. You know what? I am not going to do that this week. Nor I am going to drop in a bunch of fun sound effects or music loops into the podcast. The fact that I am talking into this mic while I am out of office, brings up something that deserves a proper episode (one day) but today I am going to cover it as quickly as possible (so I can get back to the rollicking game of “boot the ball as hard as you can” that I have been having with my sister’s kids). And the topic I am going to cover today is: working on vacation – or The Worcation as I like to call it. I am sure that you have read all the articles about “unplugging” on vacation – but I know you and I know you aren’t going to do it. Because of leaps in technology and the nature of our jobs these days, it’s not like the old days when you put your hat on, left the office and that was that – we can work whenever and wherever we like (or our employers like). But here’s the thing: If you don’t chill out and enjoy your hard-earned vacation, odds are that you’re going to burn out, and that helps no one. DO – find a number two for your out of office email reply. Don’t leave ‘em hanging with a generic “Thanks for your email! I’m currently out of the office and you’re screwed until I get back.” The best OOO message includes someone, someone reliable, to field urgent or easy-to-fulfill requests. Find a buddy, with the intention that you’ll return the favour one day, and you’ll come back to work with happier clients and a much less voluminous inbox. DON’T – get super personal about why you’re out of office. A quick “I’m enjoying a sunshine getaway!” is fine, but “I’mma gettin’ crunk on piña coladas with my hot bae #speedo #tequila” is better left unsaid. DO – pick a check-in time and tell your boss. Pick one window when you’re game to check your work email (I like first thing in the morning since I generally get up before my partner), and stick to it. Your boss will appreciate knowing when she can plan to hear back from you and therefore you will be unlikely to get bothered outside of that time. DON’T – check your email 24/7 and answer incoming messages anyway. If you cave once, you’re screwed. It sets the precedent that your coworkers can bother you at any time during your precious, hard-earned vacation. And they will. Believe me. They will… those vultures. DO – jump on a project if you have to. If you check your email at 4 p.m. and they really do need you to jump on something, by all means, take action. Go find a quiet spot where you won’t feel distracted and you can get through the task as efficiently as possible. I did this once while I was on vacation in Japan and I swear it bought me more brownie points with my team than anything I had ever done before or since. DON’T – complain out it to your fellow travellers. It ruins the vibe, man. It harshes the mellow, dude. Finish your work, and then put it out of sight and out of mind. A cold one isn’t a bad idea right now. Don’t mind if I do! DO – post a crap load of photos on social media. It’s your vacation, and you can post yourself swimming with manta rays if you want to. But . . .
DON’T – add captions of how happy you are not to be at work right now! That’s just bad form. And you do have to go back to work and face your coworkers again… someday. DO – write down any great ideas that come to you while you are chill. DON’T – let that be an excuse to open that laptop and slip into work mode. If an inspirational moment does strike, jot it down in that adorable Moleskine notebook of yours, and promise yourself that you’ll hash it out when and only when your return to the real world. Now seriously, you’ve spent weeks or months planning this vacation, from the coolest AirBNBs to the hippest restaurants to the world heritage sites that you just can’t miss. Or maybe you are hunkered down in your childhood bedroom waiting for your mom to give you your next chore that she has been saving up for you since your last visit. Either way – Stop. Reading. Emails. Of people who used their devices for work-related activities while on vacation — even for as little as one hour — just 43% remembered everything about their trip, according to a new study by HomeAway and University of Texas researchers. And people who broke out their laptops, rather than just their phones or tablets, had even worse memory recall. So, if you were looking for another reason to leave work at the office and enjoy your time off, this is it. You know, I like to remind myself that considering how many chumps aren’t even using all their allotted vacation days, I am not going to be that guy. I am going to freakin’ make the most of my time off and leave the work behind. After all, that’s what the out-of-office reply is for, right? Now, I am going to cut this one short and go make this week at my mom’s count. 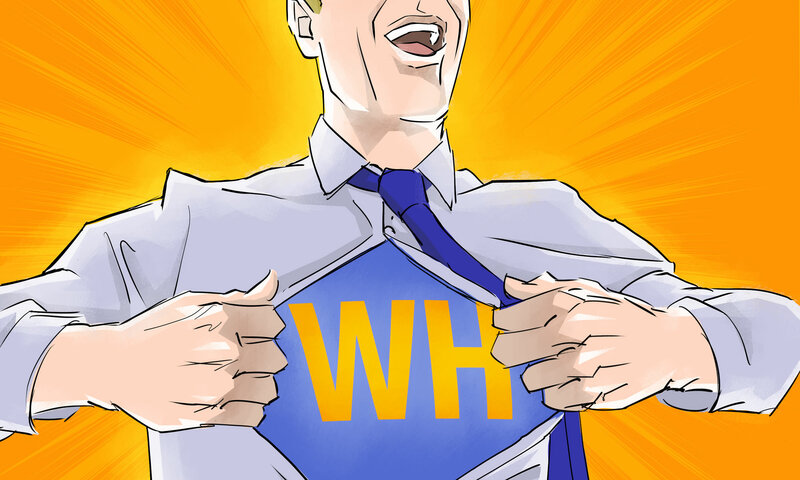 Workplace Hero is researched, written, narrated and recorded by me Brock Armstrong in Edmonton north of the Yellowhead. Artwork by Ken Cunningham and music… well there was no music in this episode so never mind.